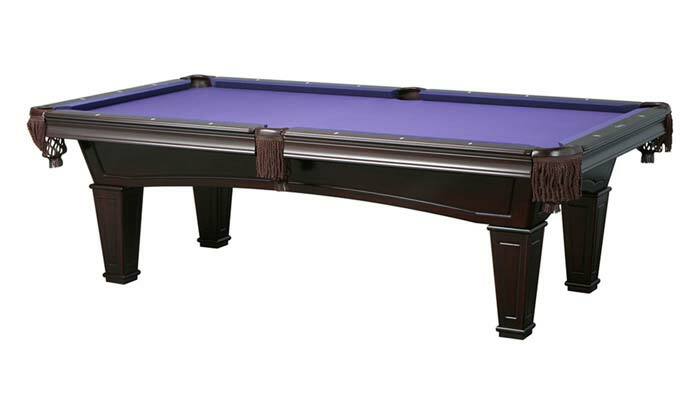 The Washington POOL TABLE | Play like a pro on The Washington. 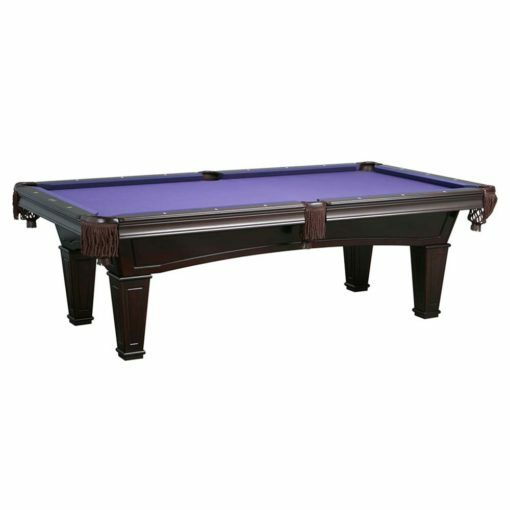 The Washington Pool Table would make a great addition to any game room. Complete your game room and make it the focal point in your home. The Washington Billiard Table by Imperial would make a great addition to any game room. This beautiful table comes in 8-foot and 7-foot sizes and is available in Mahogany finish. The table has solid wood tapered legs, rails and body, and features leather drop pockets with shield, and pearlized double diamond sites. 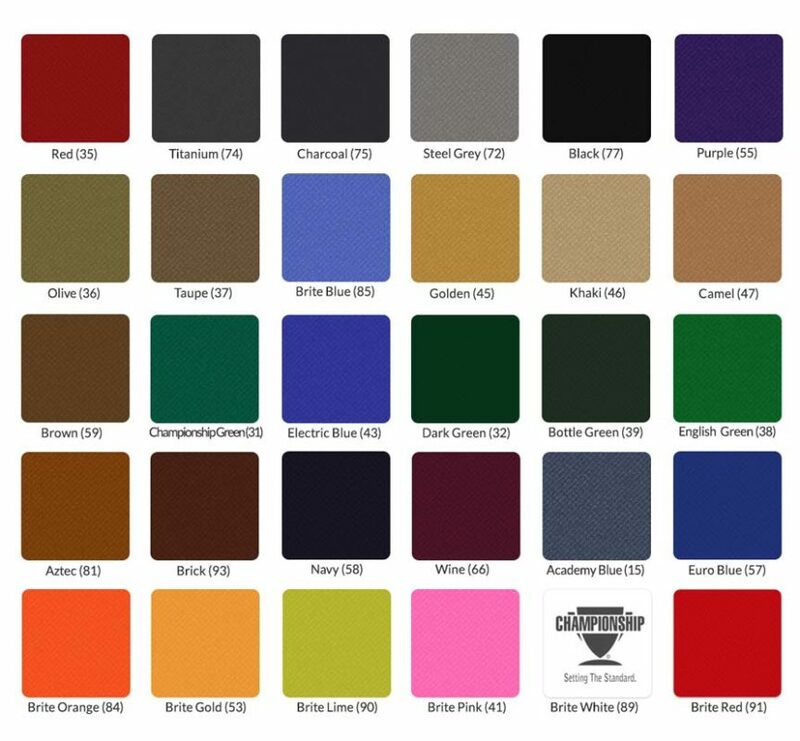 The K66 cushion rubber provides great rebound and the 1-inch backed K pattern slate provides a true roll. Our Uni-Body design makes assembly and disassembly easier; the body comes fully assembled and the double crossbeam construction supports the slate and adds stability to the table. The routed aprons and legs add to the elegance of the table. Play like a pro on The Washington by Imperial. 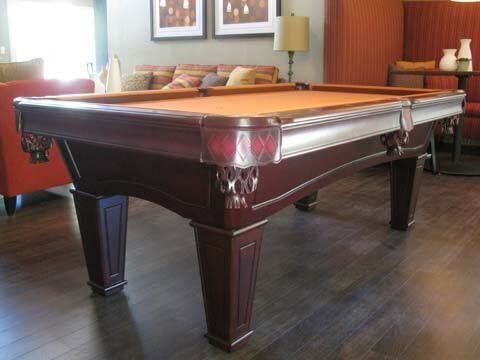 » 7 and 8-foot Pool Table. » Solid wood body and legs. » Internal Leather drop pockets. » 1-inch K pattern backed slate 3 pieces. » Cushion: K66 pro super speed 100% rubber. » Country of Manufacturer: United States. You may return your unused item in its original condition and packaging within 30 days of receipt. Products that have been altered or modified in any way are not eligible for returns, replacements, or refunds. 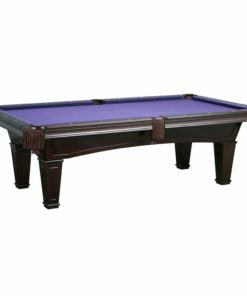 Imperial International warrants their wood line of furniture-style pool tables against defects in material or workmanship for the lifetime of the original purchaser by agreeing to repair any and all parts proven to be defective and subject to such warranty. 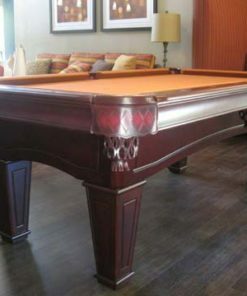 The pool table must have been purchased from a dealer that is currently or was an Authorized Imperial International Dealer at the time of purchase. All claims under this Limited Lifetime Warranty must be made through an Authorized Imperial International Dealer. Proof of purchase from an Authorized Imperial International Dealer may be required to validate a claim against the Limited Lifetime Warranty if the claim is made through a dealer other than the Authorized Imperial International dealer that originally sold the pool table. This Limited Lifetime Warranty applies only to the original purchaser of the table and is non-transferable. This Limited Lifetime Warranty is void if an authorized Imperial International dealer or agent does not install the pool table. 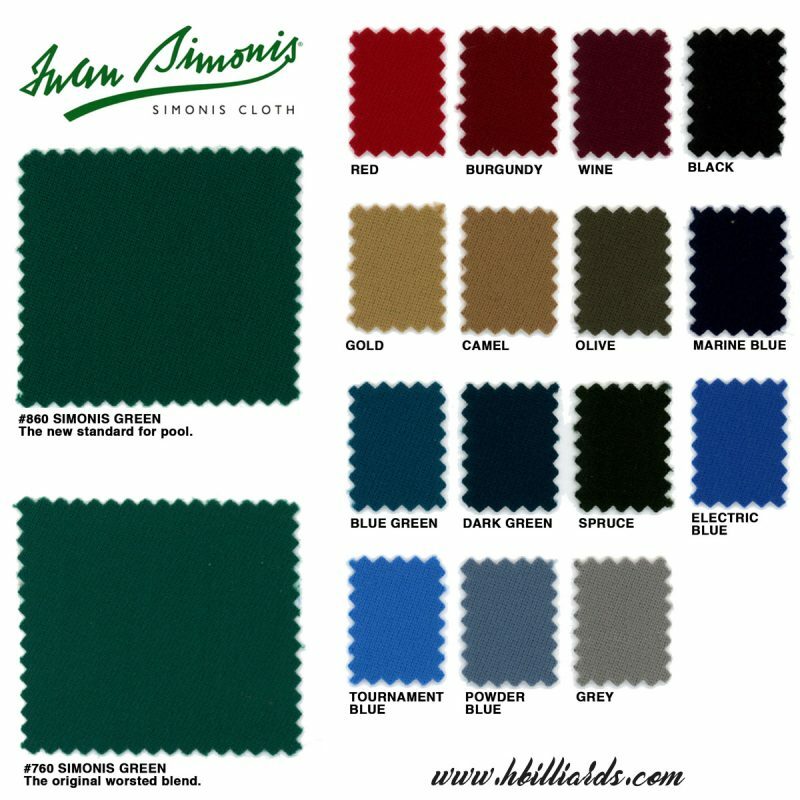 This Limited Lifetime Warranty does not imply the replacement of the entire pool table but it does cover the replacement of such part or parts of the pool table that may prove to be defective. Any and all parts submitted for warranty replacement must be shipped to Imperial International prepaid for inspection. If, after examination and at the sole discretion of Imperial International, the part or parts are determined to be defective, they will be repaired or replace and returned prepaid. Replacement of any such defective part or parts shall constitute the complete fulfillment of any and all obligation with respect to such product. This warranty is in lieu of any other warranty that may be expressed or implied in any way. Imperial international neither assumes, nor authorizes any person or dealer to assume, imply, and/or extend on behalf of Imperial International any other obligation or liability other than expressed herein. This Limited Lifetime Warranty excludes damage caused by accident, misuse, alteration, abuse, flood, fire, earthquake, or any other natural disaster. Acts of war, terrorism, or any other form of violence are also excluded from this warranty. Our "White Glove Installation" offers you our highest level of service whereby your table is shipped directly to the local installer that will perform your in-home installation. This service requires only that you are home when your certified installer arrives with your pool table to professionally install your table.